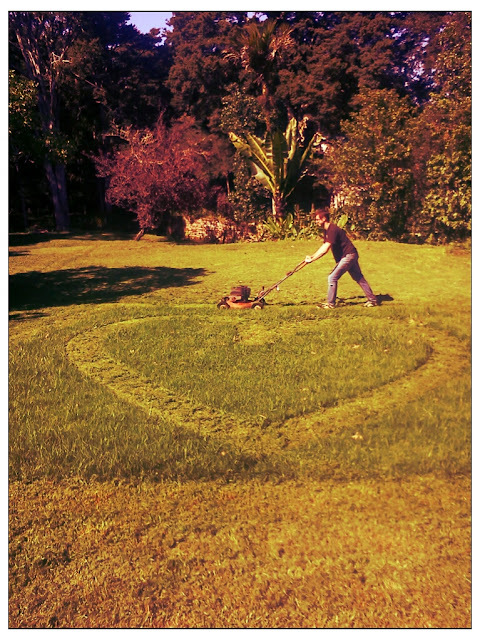 Okay, so I didn't quite go a whole week without another love related post... but just had to show you this, Symon's lawn mower love note to me the other day. I didn't realise mowing the lawns could be so romantic! That's so lovely, I'll have to sow my husband! Hahaha - and I've seen the size of your lawn, so THAT is REAL love!! You are my marriage role models, you two, really! That's pretty original! Love it.